This article was sponsored by Codeship. Thank you for supporting the sponsors who make SitePoint possible. Ahoy, matey! Looks like you’re one of our ilk, a navigator of the beautiful and treacherous seas of software development. We of the SitePoint fleet are always keen to meet another software sailor. Today, we have a special treat for our fellow travelers of the briny deep. The sea folk at Codeship (Codeshippers!) have created a new way to navigate the waters of Continuous Integration and Delivery. One that may be as significant as any development since dedicated unit-testing fleets. It’s called ParallelCI and it will make your ships' jouneys shorter and faster. We’ve written about Continuous Integration and Continuous Delivery. 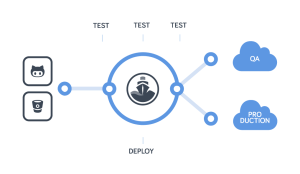 We’ve also covered Continuous Deployment where you can automatically deploy successful builds to your production environment. 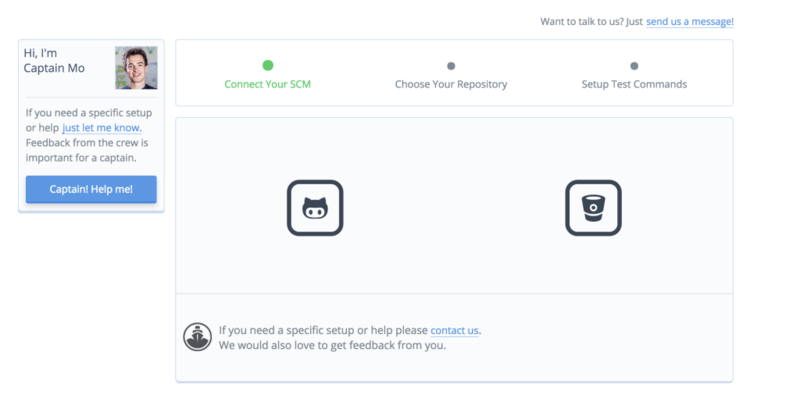 Codeship supports many PaaS offerings, including Heroku and AWS. Codeshipper Manuel Weiss gives a crash course in continuous delivery. The seas of software are ever-changing. Platforms like Codeship enable your fleet to adjust to changes in the weather. Read the aforementioned scrolls (linked articles) to learn how Codeship can turn your haggard crew into a powerful armada. Then, come back here to read about their latest navigational offering. It is possible to run your voyages (builds) in parallel. There are legends of previous explorers sending mulitple ships in multiple different directions to cover the most territory and find the best route as quickly as possible. Before today, this was a very difficult undertaking. Someone would have to create each course (VM), repeating arduous setup and prepartion, and ensure that the courses didn’t cover the same territory. In most cases, the setup was too difficult and the course too expensive, leaving you between a rock and a hardplace. As such, one ship is used to travel all territories. 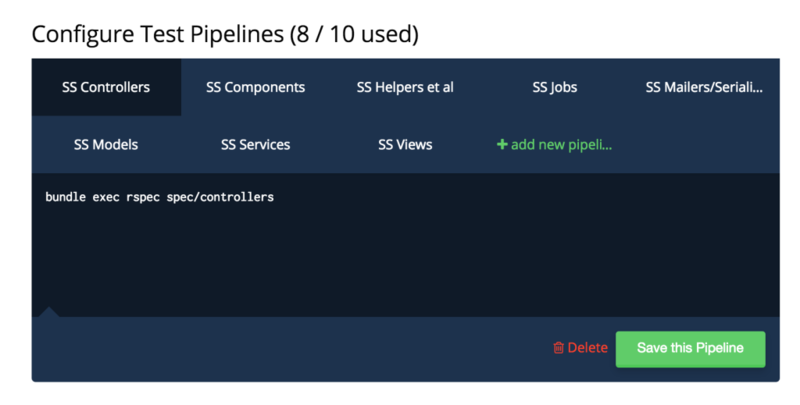 With ParallelCI, a new offering from Codeship, it is now trivial to create a new course, called a "pipeline". 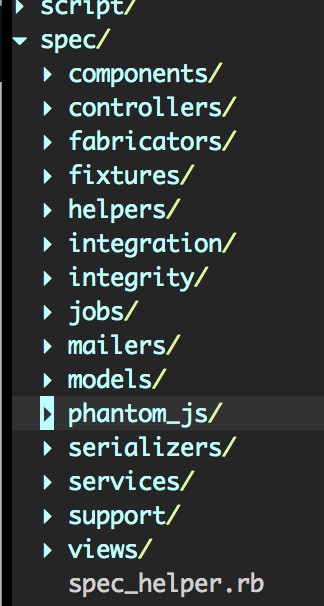 Each pipeline gets the same setup, but then can travel its own course (run its own commands). Now, you can easily break up the Testing Territory into smaller routes, allows each pipeline to sail through less waters. Ultimately, your fleet (software) arrives at its destination (The coveted lands of Deploymentistan) much faster. Click on the giant green button to create your first project. Captain Mo joins your crew to help prepare you for your first voyage. A list of your fleets (repositories) will be displayed. In our example today, I only have a single fleet called Discourse. Discourse is an open source, large fleet that runs on Rails, a very popular manufacturer of fleets. I wanted to use a fleet that is large and has many tests (Discourse has over 4000), so I forked their fleet. The setup is the easy part. When we sail into testing waters with Codeship and ParallelCI, that is where the new territories lie. Codeship has suggested that we run bundle exec rake as our Test Command, which I know to change to bundle exec rake spec for Discourse. However, this will take the same, old route through testing. Discourse is a mature fleet that travels through specific testing seas, so we’ll want to do some custom navigation to make the trip as short as possible. Some of these waters are vast, such as components, controllers, and models. Other seas are easily navigated, such as helpers and integrity. My navigational experience tells me that the larger seas will get a dedicated ship (pipeline), while several of the less treacherous waters can be grouped together and covered by one ship. Also, as an old seadog, I know we’ll want to know how long the traditional, single ship approach takes. That way, we can benchmark the new way and quantify our gains. Benchmarking is foundational to successful seafaring. During my test run in local development waters (my development machine), I had to flip the hourglass 11 times (so, 11 minutes) during the test voyage. Navigating using Codeship with just a single ship, the test waters were traversed in just over 5 hourglasses. 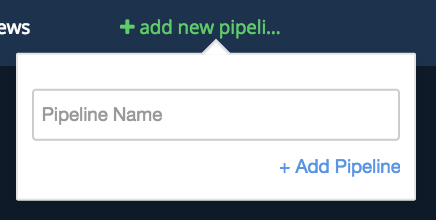 The generous folks at Codeship allow us to create up to 10 pipelines, but the actual number allowed will be based on your account level when the feature is out of beta. With our navigational routes all planned out, it’s time to hit the high seas! A voyage is launched by pushing a change to the fleet (repository). 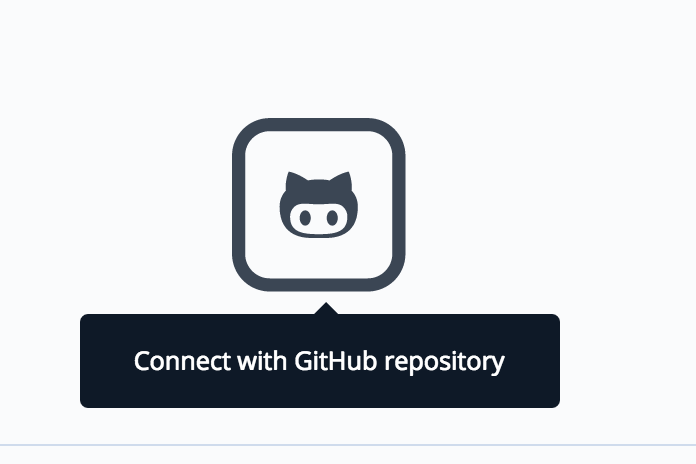 A simple change to the README (which I can edit on Github directly) will do it. Anchors aweigh! Back here in port, it’s now a matter of walking the widow’s walk and waiting. Looking at the voyage we can see each of our ships navigating its specified route. As each ship returns to port, you’ll see an indicator on the build dashboard. When they’re all back in, the build is done. So, how’d we do? It looks like we cut our time at sea by more than half! That is incredible. With the blunt instrument of simply assigning a pipeline for each spec folder, we doubled how fast we can get to our deployment destination. HIP! HIP! HORRAY! Rum for everyone! As you can see in the screenshot, the "Deploying" step runs the actual deployment commands after all the test commands have completed. You can see more about this in this video by Codeship. 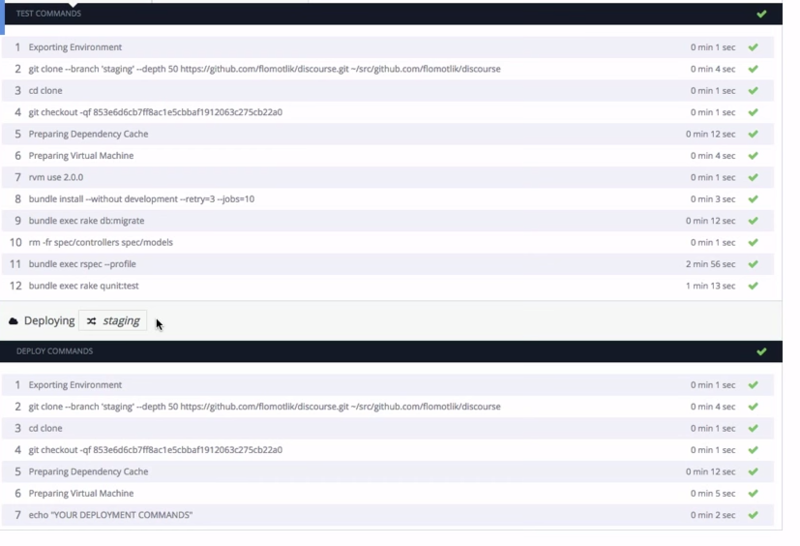 ParallelCI is a simple yet very useful addition to the Codeship offering. While the navigational routes we used today were a bit blunt (a pipeline for each spec folder), I am sure you can imagine smarter ways to split up your tests. For example, using something like the parallel_tests gem and it’s —only-group parameter, the specs could be split up based on size. Regardless of how you do it, using ParallelCI will reduce your test execution time and give you more time to focus on shipping features. As shipping magnate Aristotle Onassis once said “We must free ourselves of the hope that the sea will ever rest. We must learn to sail in high winds.” Codeship helps you learn to do just that. 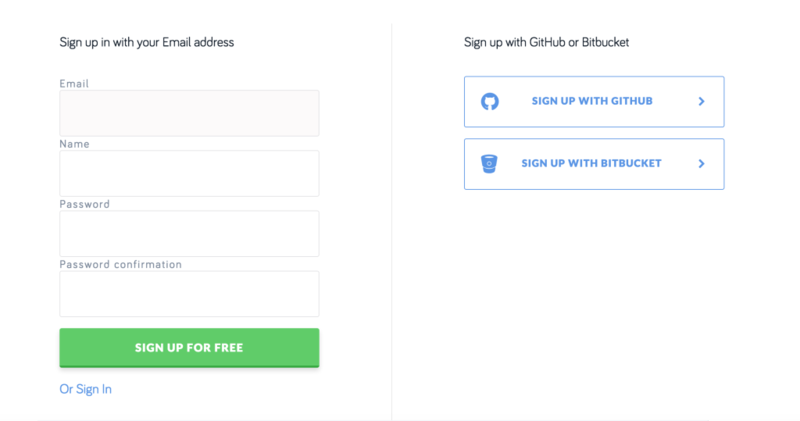 Codeship offers 100 builds/month and 5 private projects for free to get started easily and without risk, so only a scalawag would put off signing up any longer. Also, the sailors at Codeship are constantly discussing new navigational techniques on their blog. Bon voyage, my maritime friend. 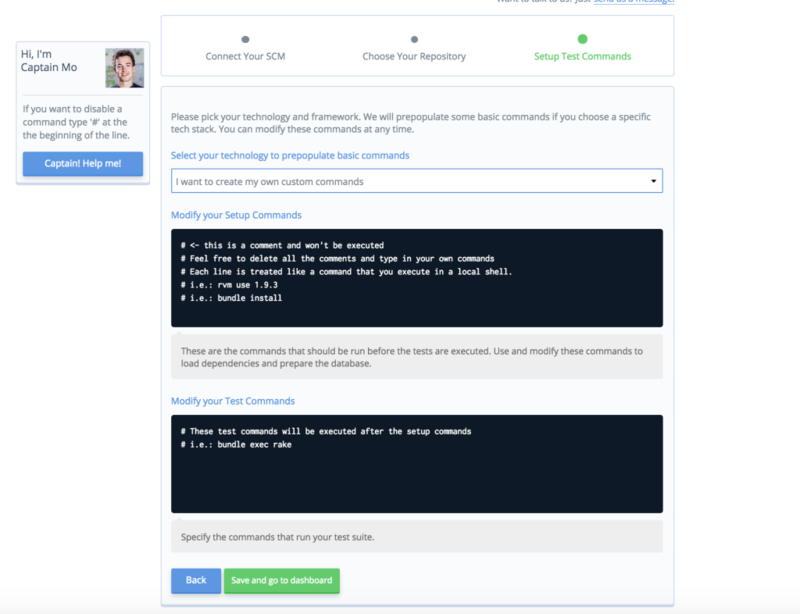 Head over to Codeship and give ParallelCI a try now. One thing I didn't see mentioned was that CodeShip offer their service free for open-source projects, but limit them to a single pipeline. Otherwise, a very nice advert for a great service that we've been happy with for several months now. Thanks for the @jdickey! It's a great clarification.